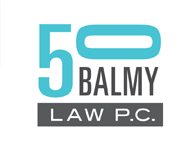 Billy Colwell | 50 Balmy Law P.C. Billy comes to 50 Balmy with an eclectic background in music, office management, and the legal field. A native of Connecticut, after obtaining his B.A. in Music with a concentration in music history in Rochester, NY, he stumbled into the legal field while searching for jobs after college. Years later, after a quick stint in the wine industry and pulling from his previous legal experiences in corporate immigration, real estate, and litigation support, he now finds himself as the Firm Administrator at 50 Balmy Law. In his spare time he can be found biking around Oakland and the surrounding areas or enjoying the warm temperatures of California (much different from the cold winters of upstate New York).